The BEST bargain in the Inland Empire!! Award Winning BBQ! But don�t just take our word for it� �One of the best in the I.E��.Roger J. Grody, Restaurant Critic Writer for Lifestyle Bon Appetit, Westways Magazine. ��Distinctively different from other BBQ restaurants in our area�something unique and o so good��Allen Borgen, Restaurant Critic for the Inland Valley Daily Bulletin. This is a catering company that happens to have a restaurant, not a restaurant that happens to cater. The catering portion has a large corporate �root system� with many repeat clients and new ones as well. This is a complete turnkey operation, largely ran by an excellent staff. The owners are retiring and will work closely with the new owners to ensure a smooth transition. 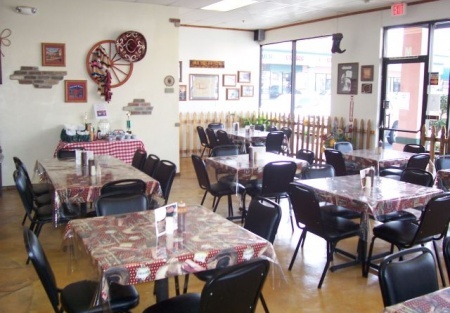 Look at this established Barbecue Catering Co. and award-winning restaurant as a total package, the best of both worlds. When you look at this operation, use your �catering eyes� not your �restaurant eyes� to see the facts. Fact: Catering events generate larger dollar sales per event than restaurants. Fact: Catering has a larger gross profit margin than a restaurant. Fact: Catering guest counts are known in advance, making it easy to calculate labor. Fact: Catering labor is charged to and paid for by the client, unlike restaurant sales. Fact: Catering invoices are paid for well in advance of the event. Fact: This Company includes an established base of catering clients with repeat business. Fact: This is the only �Santa Maria Style� restaurant in the I.E. Fact: This Company has an excellent long time staff to run both operations. TAKE THE NEXT STEP. Select the bright orange buttons below! The ONLY Authentic "Santa Maria Style" Barbeque in the Inland Empire!